Last month, we wrote about Tesla entering the home battery market. This home power solution has become such a sensation that it has already been reportedly sold out through mid-2016 . For those who didn’t have the chance to buy the Tesla battery, there is good news. 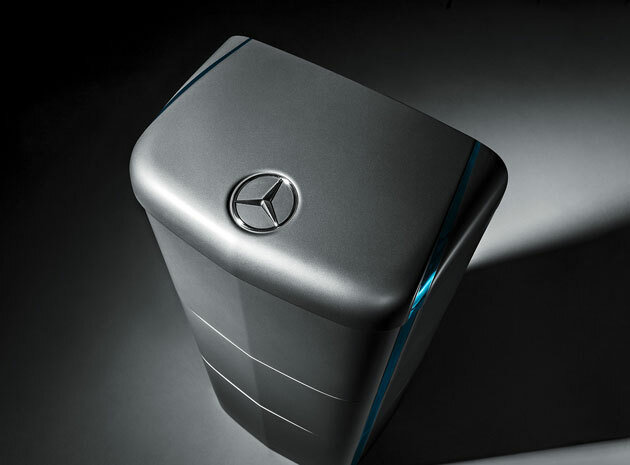 According to an article on Engadget, Mercedes-Benz is planning to release its own home batteries. The report states that each Mercedes Benz’s pack of batteries can hold 2.5 kWh of electricity. Eight batteries can be combined to provide 20 kWh which twice what the Tesla battery combination pack can provide. Mercedes Benz’s home batteries will initially be available in Germany before entering other markets. While we are now familiar with the cost of Tesla’s batteries which start from US $3 000, Mercedes-Benz is yet to release the price range of it home power cells. I’m pretty sure though that in Zimbabwe it would be an easier sell because of the German company’s strong brand presence and rich appeal that Merc has. If you can drive it, why not put it up in your house as well? Home batteries allow owners with solar panels or any other source of energy to store electricity. They can be used at homes and businesses. They are very handy if you live in an area with frequent power cuts or are just looking to save your energy costs. Locally we are at the receiving end of an unfavourable power supply schedule and people are always looking for an alternative. It will be interesting though if other car companies that have less affluent markets at heart enter this power race.